Over the course of more than a decade and five albums into their career, there is still no band like TV on the Radio. They are sui generis, a singular entity that defies easy characterization but continually produces gorgeous and engaging music. As great as their studio output is, it gives but a glimpse of the true power of the band, and that’s its live show. 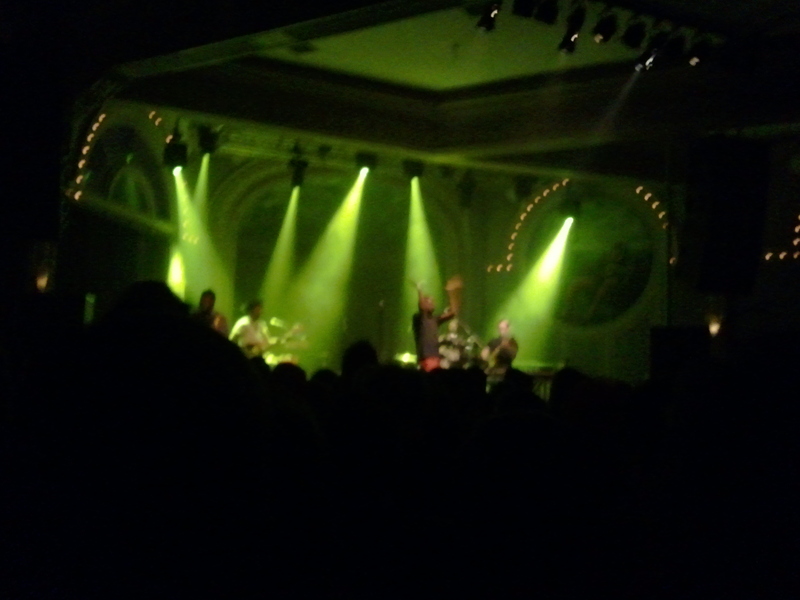 Last Thursday’s show at the Crystal Ballroom was a thrilling experience that capped off not only a wonderful year of concerts, but proves that more than ever we need to be thankful for the band’s existence. On record, TV on the Radio exerts an air of precision and carefulness; even when the songs are filled with hisses and layers of ambient haze, there is still the notion that this “noise” is meticulously constructed, with the particular vocal styles of Tunde Adebimpe and Kyp Malone also contributing to this perception. However, their live show moves away from their more artfully produced side and instead brings out their dormant punk rock tendencies. This was established in a dramatic fashion at the very beginning of the show, as waves of haze and noise filled the air like an aural fog machine before Tunde ripped through and delivered a thrilling rendition of one of their earliest songs, “Young Liars”. Though I have my doubts that most of the audience had an previous familiarity with the song, by the end of the first chorus it didn’t matter, and they provided an enthusiastic response. Tunde was moving around the stage and wringing the emotion out of every note, often with the aid of his unique physical mannerisms that in the hands of a less capable performer would look ridiculous but were clearly genuine expressions on his part. Dave Sitek spent most of the set furiously strumming his guitar, and though it was nearly impossible to pick out his singular contributions it was clear that he was making an important contribution to the general atmosphere of each song; he stood in direct contrast to Kyp Malone on the other side of the stage, whose stillness amid the chaos portrayed an almost zen-like quality to his guitar-playing and vocal parts. In their live performance, the brilliance of the composition of the bass and drum parts become much more apparent, and Jaleel Bunton and Japhet Landis helped not only to keep everything grounded but offered thrilling personal touches of their own. While Landis seemed to struggle slightly with a couple of the turnarounds in “Lazerray”, he more than made up for it with his handling of the tricky rhythms of “Province”. 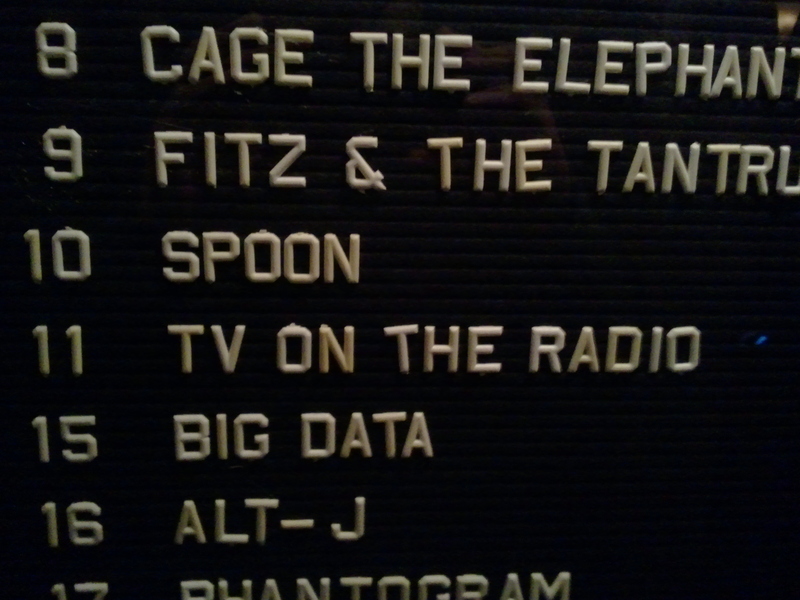 The set focused mainly on the new album Seeds, with the band performing most of the album, including a stretch of four songs in a row that indicate the band’s confidence in the material. Considering we here at RIJR think it’s one of the top albums of the year, we were fine with this decision. The band sprinkled only a little bit from the rest of their catalog throughout, with Dear Science and Return to Cookie Mountain getting a handful of songs each. For the most part, the intention was to keep the energy up, and so fast-paced rockers like “Dancing Choose” and “Golden Age” dominated the setlist in favor of the band’s slower songs (though a re-working of “Blues From Down Here” showed the versatility of their more balladesque material). As expected, “Wolf Like Me” was a thrilling highlight, with the crowd absolutely losing its mind during the band’s ferocious performance. The band seemed to genuinely enjoy their visit to Portland, and the crowd was glad to benefit from the extra shot of energy that comes with the final stop at the end of a tour. But there were other things that were understandably on the band’s mind, as Kyp and Tunde both took time between songs to express frustration with the recent current events and promote positive social awareness in the audience. This included a memorable segment that involved crowd participation about “light” and “dark” and Tunde running through and high-fiving the audience. All of this led up to the final song, the moment that I had been hoping all night to hear once again, and that was their electric performance of their early hit “Staring at the Sun”. It is one of the highlights of desperate youth, blood thirsty babes, but it takes on a whole new dimension when performed live that few bands in history can match. It was a sensational conclusion to not only a brilliant show, but to the year in general. Thanks to that performance, I’m going to have to reshuffle my list of top concerts of the year, but that’s a great problem to have.